This is the beta of the Silverlight persistence – I want feedback on how it works and how hard/easy it is to get along with. Anyway I have spent the last couple of days wrapping the final things of the Silverlight persistence up. The first thing that got me stumped was that Silverlight does not accept WCF-interfaces that does not follow the Async pattern (with BeginOp/EndOp). The WCF interface we had for server persistence did not follow that so it had to be changed. The second thing that got me stumped was that even when having the Async-pattern-WCF-interface, all Silverlight applications will hang if any communication is done over a WCF channel on the Main thread. So I had to figure out a practical way to call things on a non-MainThread-thread without getting into the total chaos of an ecospace that is read and written simultaneously from multiple threads. I am not saying that I have “solved” every thread issue in the book with this beta – but I think that I have the strategy laid out. The biggest challenge is Lazy Load: Lazy Load is a super function of ECO that works really well and removes a ton of work for the developer – it can be dangerous too of course – creating too many server round trips – but ECO has strategies to handle that. The problem with Lazy Load in Silverlight is that the loading cannot be done on the main thread – because the app will hang. And UI-binding cannot be done in a background thread because UI is main thread. So Lazy Load has to go? Well yes – in Silverlight it has to go, at least on the main thread. We cannot stall a main thread operation that discovers the need for loading – if we do the app will hang for ever. The code above gets a free thread from the thread pool – the thing is that we want to avoid doing stuff out of sequence so we do not want just any thread. For example we do not want a multilink to become fetched AFTER we get the result of Count – we want things to happen in sequence because they depend on each other. Threading is best used on things that does not have dependencies – in an ecospace objects have dependencies – that is 90% of the point – sure you can have some group of objects that does not depend on some other group of objects but that will not be the normal case – and if so consider 2 ecospaces. But if you use ViewModels – Code generated – or not, with the ViewModelSLUserControl or not we will do that for you automatically – go ViewModels! The client I published here THE CLIENT , now the interesting thing will be when you open two or more of the clients, change data in them, update the database and then refresh the other. 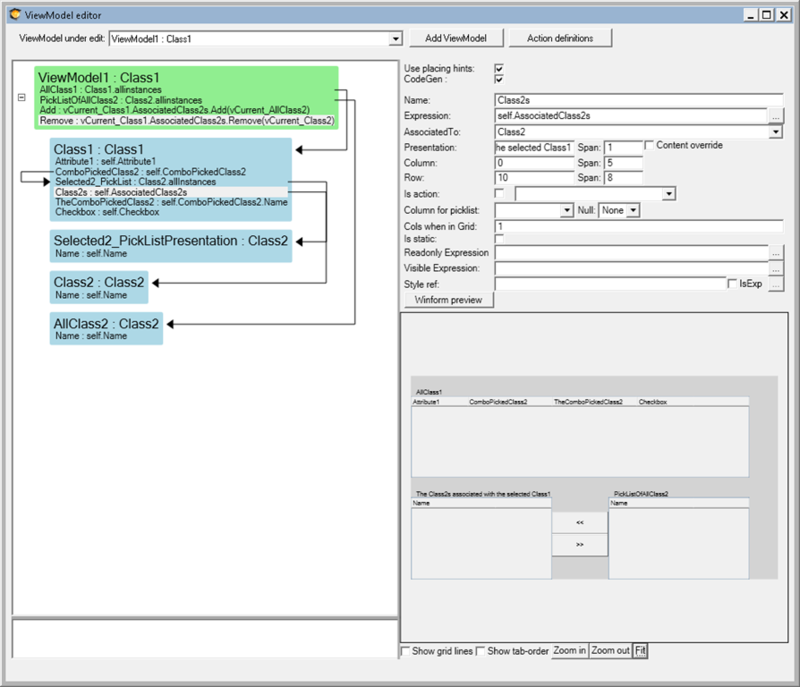 The full sample code is in the latest eoc6 build demos folder SilverlightWCFPersistenceDemo. If you haven't done so yet, I would watch this video from PDC ( http://player.microsoftpdc.com/Session/1b127a7d-300e-4385-af8e-ac747fee677a ). Anders Hejlsberg gives an excelent presentation on what new async features are coming in .NET. This stuff is amazing and will really make it easy to code this async stuff. "So Lazy Load has to go? Well yes – in Silverlight it has to go, at least on the main thread. We cannot stall a main thread operation that discovers the need for loading – if we do the app will hang for ever." Not lasy loading automatically is not acceptable! You must find a way to do it automatically asynchronously. 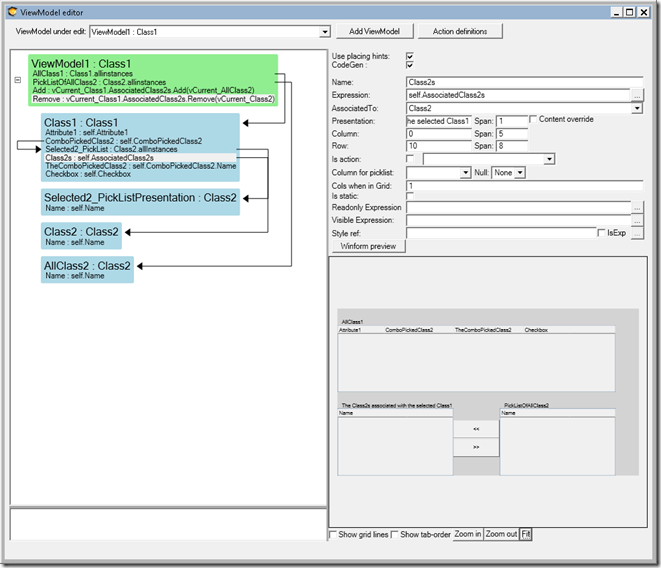 In Anders PDC presentation he mentions a Task object that is available, I think in .NET 4. This object will stack up asychronous calls for you. It might have been updated for this new stuff though. Also, there is a CTP download for these new features. 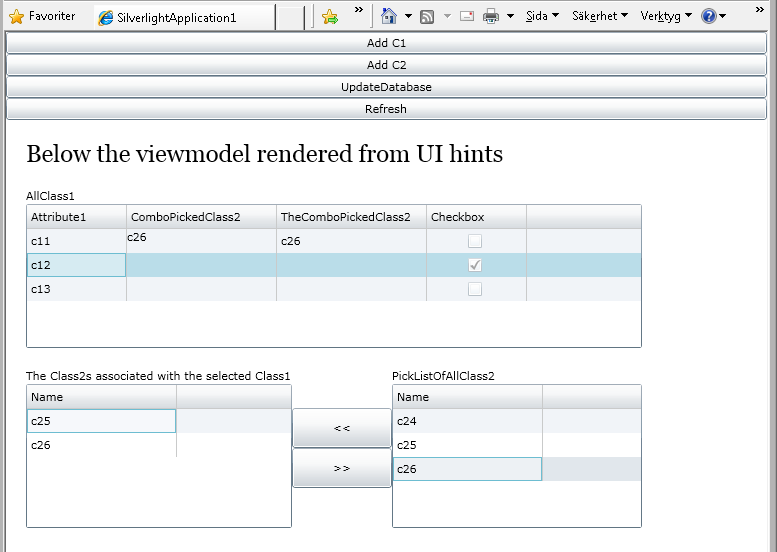 You can get it here: ( http://msdn.com/vstudio/async ). I would rather you used this new stuff and I had to install the CTP, than release a half baked solution. Thank you for your comment. Yes I have watched Hjelsbergs presentation of the upcomming language constructs that will aid in writing async-code. And what he says is brilliant - as language constructs... It does not change anything on why you engage in async calls nor does it solve the biggest challenge of async calls - how to get things in sync. We will go further in our ambition to make ECO-silverlight development straight forward and easy. I rather see the async approach making it into WPF than see it going from silverlight. When the new async language constructs are available we can use them - but the solution is not the language - the solution is the ideas and how they fit in the framework. I have been looking forward to ECO supporting Silverlight, but if it does not support lazy loading I'm severely disappointed. I cannot use it if it does not support it. My business logic expects to be able to walk the object graph and trying to make sure that object graph is present is a no go. I would much rather wait for however long it takes to get the lazy loading working for ECO 6. By the sounds of it you are not planning on it working for ECO 6. If so, will it be there for ECO 7? I cannot over emphasize how important lazy loading is to ECO. Ok, we hear you... This was the 1 pass thru - it will evolve and we will solve this. We have a few ideas on how to go about it. So you could do it with that instead of depending on CTP if you want. I'm not quite sure that really addresses the problem of the UI thread, etc., but maybe it does. The example does seem complex for using it with SL, but I will need to study it more. Also, in MVVM, the tendency is to AVOID code-behind. Perhaps you used it to simply the example, but in general, you would want no code-behind. You would want to instantiate the EcoSpace and/or ViewModel in a Page, for instance, and then have the page set the View's DataContext. That way, the view knows nothing of the viewmodel. But again, I'll have to study your example more thoroughly. I clicked on the link to "the server". That showed me a page that had a wsdl link. When I clicked on that, it said it couldn't find it.